Park Behind The Reading Rooms, Nelson Street. 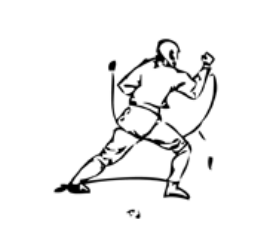 Kung Fu Fitness is a synthetic system, drawing heavily from Qi Gong, Shaolin Kung Fu and other Asian Martial Arts, but also on Callisthenics, Yoga and Chinese Medical Theory and modern Sports Science and Psychology. Sessions are tailored according to the specific needs and abilities of students, all ages and fitness levels are welcome. Kung Fu Fitness is truly for everyone; we start slow and work methodically, like water dripping on stone. Kung Fu Fitness will make you feel strong, healthy, calm and centred; I consider it to be a moving meditation. The body is the temple; we strengthen and cleanse the temple to create a suitable place for the spirit to reside. No previous experience is necessary. We all start where we start, once we are clear about where we are, we can move forwards with steady confidence. My preference is to train outside in nature, whatever the conditions, but I also work with students inside.